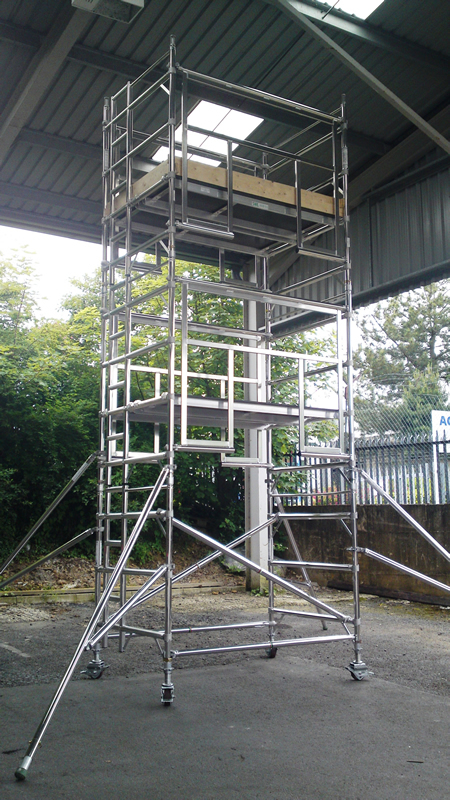 The Towers Tamper proof Advanced Guardrail Tower (AGR) is another solution to safe tower assembly. The Tamper proof Advanced Guardrails cannot be removed without descending and removing the platform first. The ergonomic design lends itself to quick easy assembly and provides collective fall protection before the operator accesses the platform and cannot be removed before the operative descends from the platform.